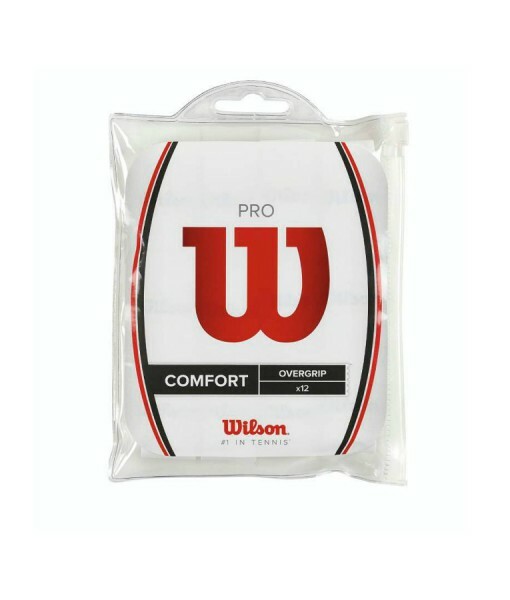 Wilson Pro Overgrip – ( Pack of 12 ) Perfect feel – as used by the world’s top players – Roger Federer and Serena Williams. 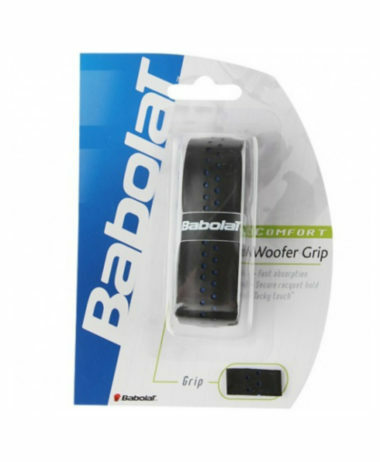 This design of RACKET GRIP offers a brilliant balance between all the qualities required from a racket grip: comfort, absorption, feel and tack. 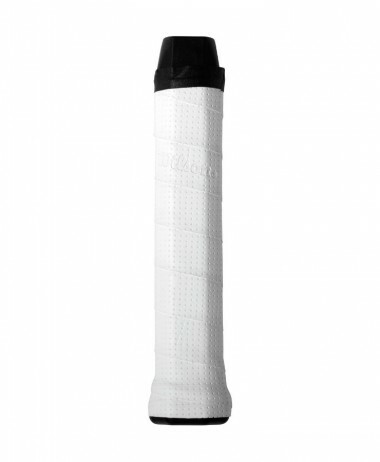 Tests have shown that even the white colouration contributes to the Pro Overgrips unique gripability. 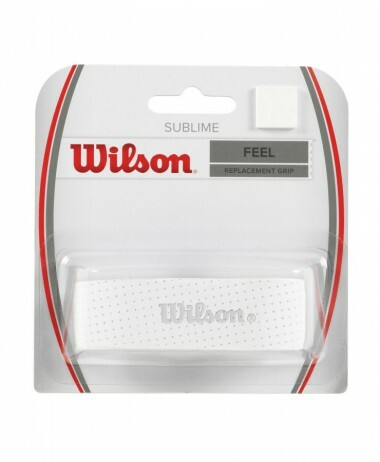 .This has optimum feel, all round performance and unrivalled grip that makes it stand to the demands of touring professionals as well as club players and casual recreational players. 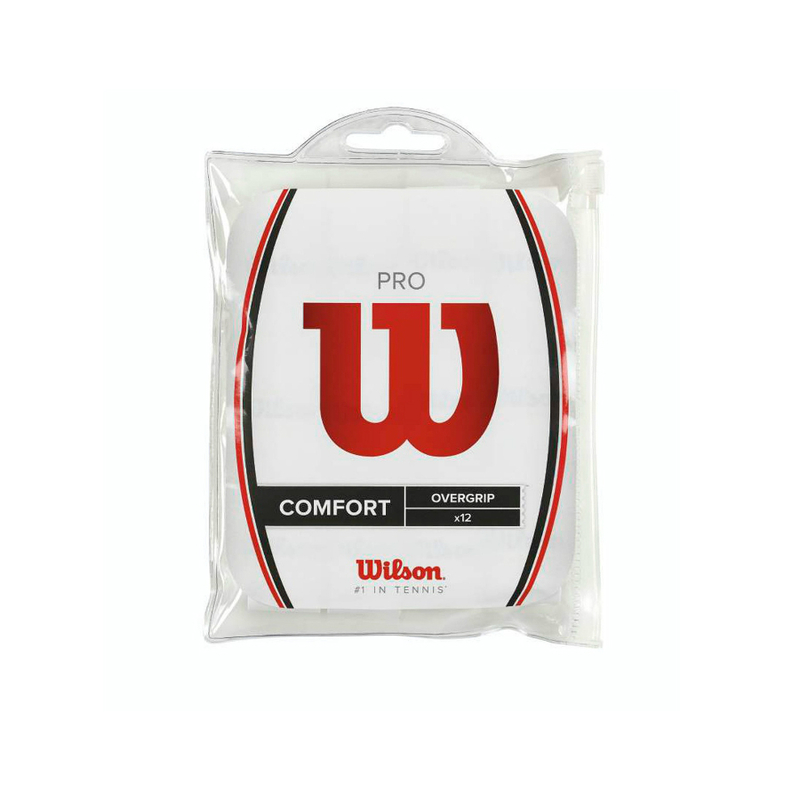 Ideal for badminton, Squash and Tennis rackets. 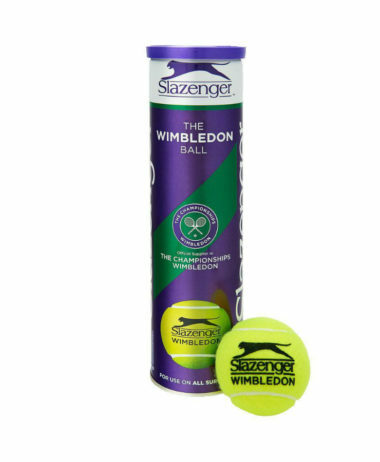 Visit our store in Farnham, Surrey. 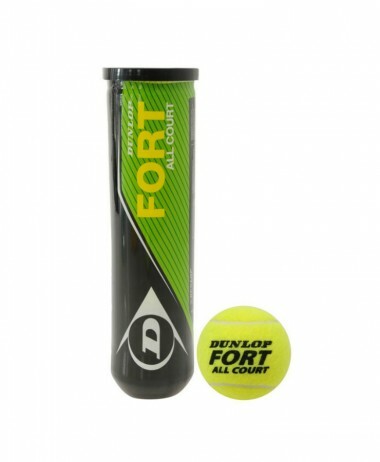 Open 7 days a week, PURE RACKET SPORT, specialises in purely racket sports – everything you need for tennis, squash and badminton. 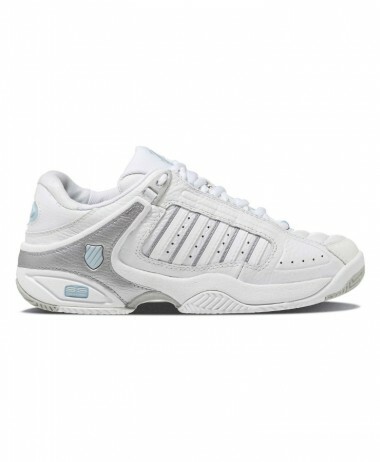 More choice than online, we are a destination store and select what we believe are the best products to do the job – whether it be footwear, or supports for tennis elbow. !